I am a native Japanese speaker. I am fluent in speaking English as I lived in LA from age of 11 to 15 and went to local public schools. I worked for a world renowned Japanese manufacture whose products are mainly for export purpose (more than 80% of production was for overseas markets). (including 7 years in Melbourne). Now I am an independent overseas marketing consultant. For clients looking into coming to Japan market, I assist them (both online and meeting in person) to explore the market, find the right partners, and register their business here. 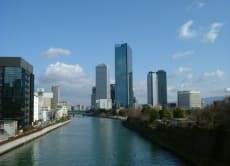 I often help as a business tour guide in Osaka for those who contact me from abroad. 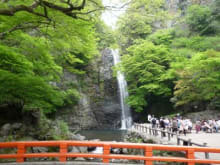 I offer you an unforgettable experience visiting all the must-see places that my loving town Minoh could offer. Thank you Masaya for taking the time on short notice to show me around! I had a great time and enjoyed the company! Very informative and helpful! I definitely recommend this tour if interested.